When you choose to spend your time and money at an online casino, you’re putting your trust in that casino to use software that is fair to players. Of course, any internet casino that doesn’t have a decent payout schedule risks going out of business, because there are so many web casinos where people really do win decent money. But when you go online to gamble, you want to know that the software powering those games you love is legitimate and has been tested and approved as being fair to players. Three of the biggest software providers for top casinos online are Realtime Gaming, Rival Gaming, and Vegas Technology. Real-time Gaming has been around since 1999, running from Atlanta, USA, and Costa Rica. They quickly developed a reputation with both the industry and with players as being one of the best software providers for web casinos. They are perhaps most well-known for Real Series slots, which are very popular with players. One feature players particularly like with Real Series slots is that they can set it on Auto Play and play automatically. Operators that use Real-time Gaming software have plenty of freedom as to how they implement the software. They can, for example, choose how high or low they want the payout percentages to be on a game-by-game basis. For players, this may make it a little harder to figure out which operators are the most generous. Win Palace Casino is one of the top Real-time Gaming-powered internet casinos. Rival Gaming is smaller than some of its competitors, but the software itself has a good reputation for quality. Rival has been opening casinos since 2006, and has rapidly become a favorite with players. Owned by a Cyprus-based company called Black Chip Ltd., all Rival Gaming casinos are licensed in Curacao. 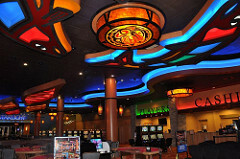 DaVinci’s Gold and Cocoa Casino are two popular Rival Gaming Casinos. The interactive slots, or iSlots, are generally the biggest draws at Rival Gaming casinos due to their great graphics and interesting themes. Also, players are able to influence the outcome of bonus rounds, and many find this to be a very attractive feature of Rival Gaming’s iSlots. Vegas Technology has software for over 100 casino games, but they focus on slots and online slots tournaments. Vegas Technology developed Lucky 7s, the only seven-reel slots game out there. Many of its slots games have American themes (« Red White & Win, » « Independence Day »), and they cater to American players. Daily tournaments are a prominent feature of Vegas Technology casinos, but there are also freeroll tournaments and buy-in tournaments. 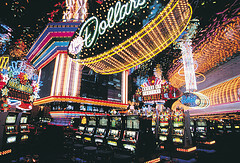 In addition to slots tournaments, Vegas Technology-based casinos are also big in blackjack and video poker tournaments. 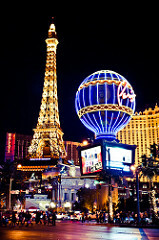 Vegas Technology software comes in an instant-play format that’s compatible with Apple computers, which has been another big draw to American players. The software is audited regularly by an independent auditor for average payout percentages and fairness, and this is reassuring to players that they are being treated fairly. VIP Slots Casino and Super Slots Casino are two top online casinos that use Vegas Technology software. Checking out monthly payout reports and audits of online casinos that use top casino software are good ways to ensure that you’ll be treated fairly when you play at a casino online. 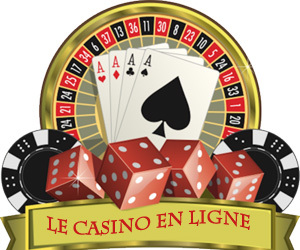 If you are looking for a reliable place for casinos online [https://www.casinofrancaisonline.fr] there are a wide range of website that has reviews to find the right online casino for you to play on.